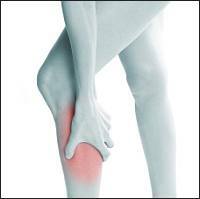 A painful contraction of the muscle is known as cramps. There are various reasons for cramps like excessive physical exercise/work, taking too much of dry and rough food articles are few of the reason behind cramps. Metabolic waste generated in the body should be discarded from the body as soon as possible, but when it doesn’t get discarded and circulates in the body, it tends to deposit at the end of nerve endings and muscle tissues which is known as ama in Ayurveda, this results in cramps. Cramps might be experienced due to various other diseases in the body too and should be diagnosed by a good doctor if it occurs frequently. Ayurvedic Treatment: Massage is many times considered as a good therapy to treat cramps. Massaging affected parts along with the whole body with a medicated oil like Mahanarayana Taila is helpful to get rid of cramps quickly. Daily massage by self with a non-medicated oil like gingelly oil before taking a bath is generally advised for the patients who gets frequent cramps. Note: Massage should be done properly by a professional to get best of it. Many ayurvedic doctors prescribe Shivananda Guggulu to treat cramps as it helps in cleaning bowl, thereby helping the body to discard unwanted elements gathered in the body causing cramps.4 tablets of Shivananda Guggulu is generally given to the patient with hot milk. Small amount of Castor oil can be given to the patient in case, Shivananda Guggulu fails to clean bowl effectively. Many times Isabgol is prescribed to the patient which can be taken with a glass of warm water or warm milk. As this is fibrous food, it helps in cleaning bowl effectively. Diet: Foods like pulses should be avoided as these kinds of food aggravates vayu. Pungent, cold, raw foods are harmful to cramps patients. Fibrous foods should be given to the patients adequately. Garlic, asafoetida are few of the recommended foods to cramps patients. Take sufficient quantity of clean water. Light exercise for the patient is recommended. Keep the patient out from cold wind or direct rain. Suppression of natural urges, fasting, remaining awake till late night, worry, anxiety and anger are responsible to aggravating vayu. Try to keep the patient away from all these. Don’t let the patient sleep during day time. Lots of good information is on this sight.